From the fourth century until the beginning of the 20th Sultanahmet was the seat of government during two empires, Byzantine (East Roman) and Ottoman, and was home to emperors and sultans. 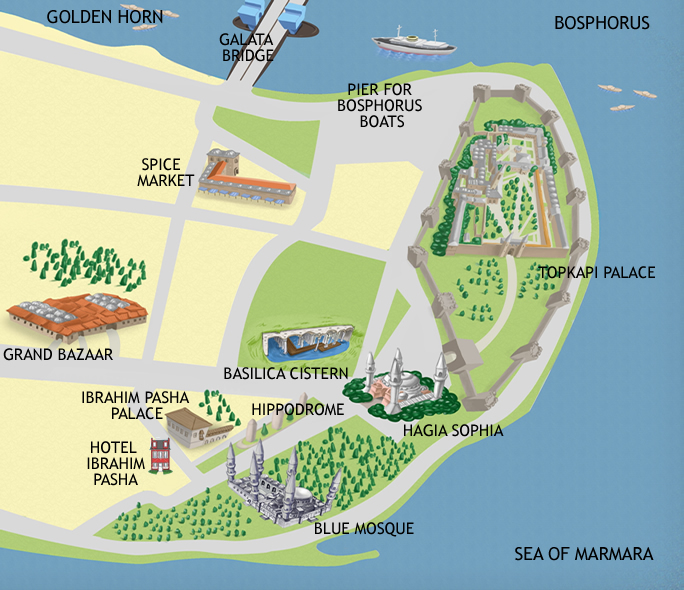 This historic centre of first Constantinople and later Istanbul is not large but can be overwhelming. It spans vast epochs of history and contains an incredible concentration of art and architecture. Hotel Ibrahim Pasha, located in a quiet street, is right across from the Blue Mosque and at a few minutes walk from important historical sights such as Hagia Sophia, Topkapi Palace and Grand Bazaar.